Beverly Hills, Calif. - The Beverly Hills artSHOW will hold its free spring event this Saturday and Sunday, May 21st, from 10 a.m. to 6 p.m. in Beverly Gardens Park on Santa Monica Boulevard, from Rodeo Drive to Rexford Drive, and the public is cordially invited to come. The Beverly Hills artSHOW, now almost 44 years old, brings art enthusiasts together from all over Southern California and beyond. 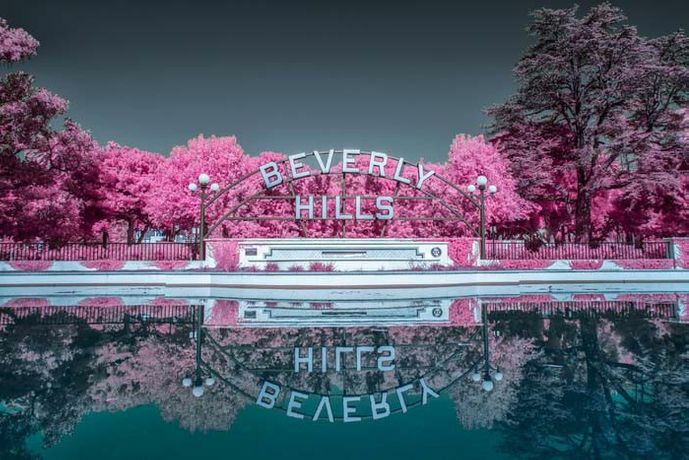 Artists come from Los Angeles, the Southwest, and the rest of the United States to introduce and sell their work in the garden heart of Beverly Hills. A special show feature will highlight painters whose work illustrates Men and Women: Gender in Art. Painters, Printmakers, and other featured renderers include many new and notable artists like Bruce Burr, Minas Halaj, Ron Klotchman, Dariusz Labuzek, Rene Porter, Karen Robey, Jamie Walker, and Robin Walker, who address the many shades of male and female in contemporary life. Typically at this event, there are a number of participants who possess masterful drawing skills, and this roster of figurative artists is indeed typical.